This episode we look at the less than stellar reputation of King John during the First Barons’ War, as recounted in the Melrose Chronicle, and consider the relationship of medieval texts to immediate politics. The Chronicle of Melrose. The Church Historians of England, edited and translated by Joseph Stevenson, vol. IV, part I, Seeley’s, 1856, pp. 79-242. Google Books. Malý, Jan. “The Invasion of Prince Louis of France to England, 1216-1217.” Prague Papers on the History of International Relations, Feb. 2016, pp. 7-20. Turner, Ralph V. “King John’s Concept of Royal Authority.” History of Political Thought, vol. 18, no. 2, Summer 1997, pp. 157-178. Academia.edu, https://www.academia.edu/11900839/King_Johns_Concept_of_Royal_Authority. 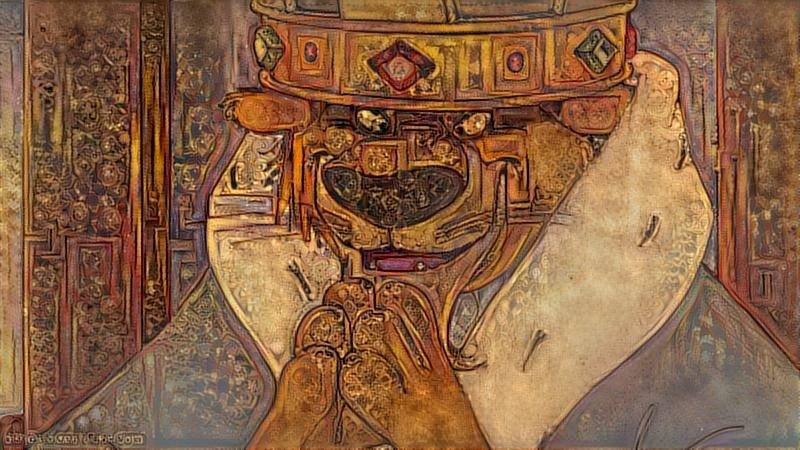 Image: Google Deep Dream medievalization of Prince John from Disney’s Robin Hood (1973).